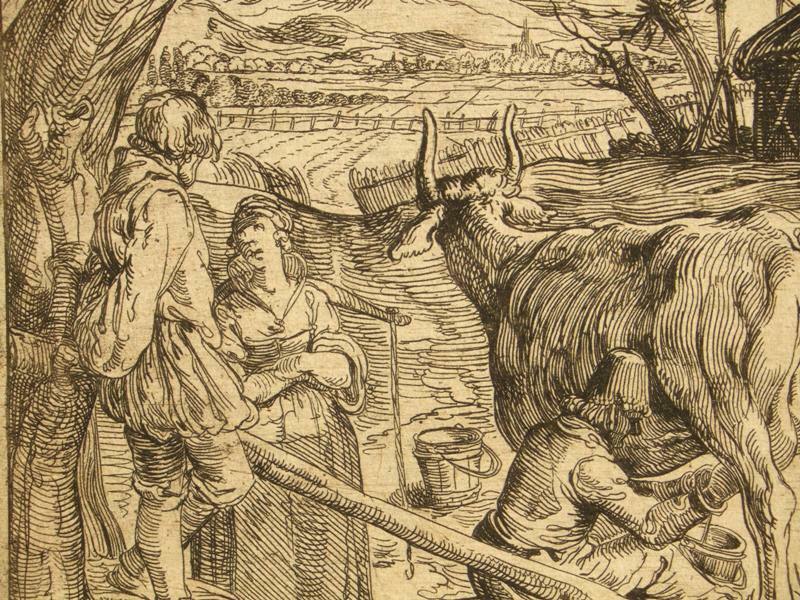 Abraham Bloemaert; 1566 - 27 January 1651, Dutch painter and printmaker in etching and engraving. Bloemaert was born in Gorinchem, the son of the architect Cornelis Bloemaert I, who moved his family to Utrecht in 1575He was one of the 'Haarlem Mannerists' from about 1585, but in the new century altered his style to fit new Baroque trends. He mostly painted history subjects and some landscapes. Jacob de Gheyn II; 1565-1629, Born in Antwerp, Jacques de Gheyn II was a draughtsman, engraver and painter. 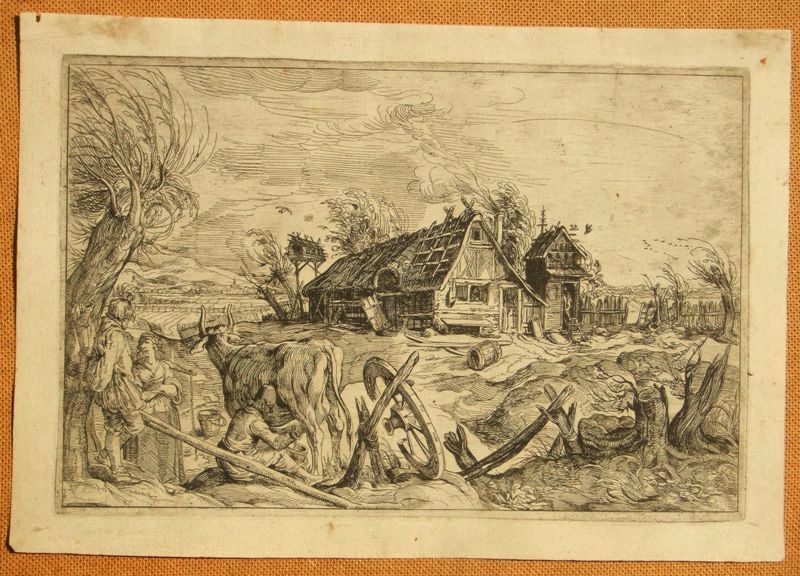 Originally taught by his father, in 1585 he was apprenticed to Hendrick Goltzius in Haarlem. From 1596 to 1602, De Gheyn lived in Leiden, where he worked with humanist Hugo de Groot (Grotius). 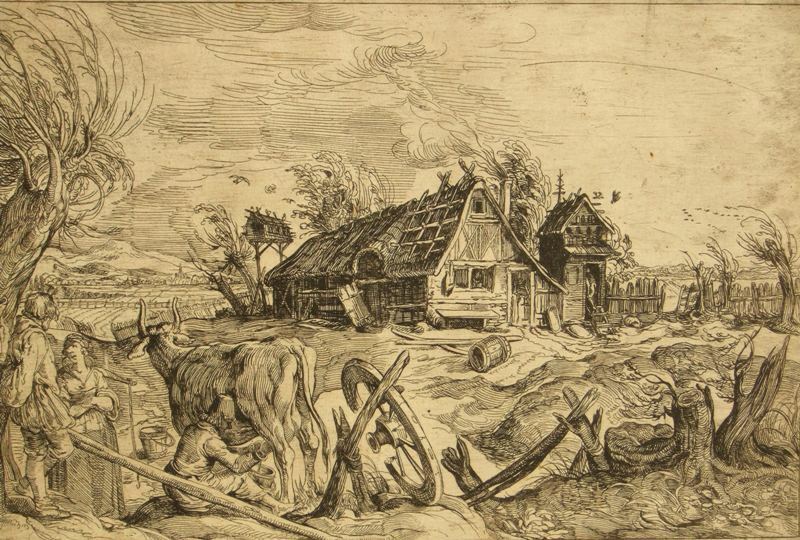 In 1605, he moved to The Hague, where he remained the rest of his life. Unframed and unmounted, the condition of the image is good, the sheet has soiling with handling marks and an overall toning, condusive with age.